NO GOOD DEED Cover Reveal! Gaze upon its magnificence! Take as much time as you need. Pretty sweet, no? I like this one a good bit more than the last few covers–the cup and blood effect give it an aura of menace and mystery which is, frankly, what I’m going for here. Very excited! That is until he hears that his old nemesis, Myreon Alafarr, has been framed for a crime she didn’t commit and turned to stone in a penitentiary garden. Somebody is trying to get his attention, and that somebody plays a very high-stakes game that will draw Tyvian and his friends back to the city of his birth and right under the noses of the Defenders he’s been dodging for so long. And that isn’t even the worst part. The worst part is that the person pulling all the strings is none other than the most powerful sorceress in the West: Lyrelle Reldamar. Read Campbell Award-eligible Stories For Free! Cover art by friend Holly Heisey! Do you like scifi and fantasy? Do you want to see excerpts from almost all the new professional writers in the spec-fic field for the low, low price of FREE? Well then have I got a deal for you! The good folks over at Bad Menagerie have put together a staggeringly huge anthology of this year’s Campbell Award eligible writers (over a million words long!) and it is free to download right here. Act quickly, though, because it will only be available for the month of March! I’ve got a lot of friends and colleagues in there, so check it out (yes, it does have a table of contents for easier browsing)! The first of my two entries is a novelette, “A Revolutionary’s Guide to Practical Conjuration,” which was my winning entry into the Writers of the Future Contest, published just this last May. You can read a lot about the story behind it here. The other is a short story, “Adaptation and Predation,” which was published on Escape Pod in December. It is an exotic scifi tale set on an alien world and featuring a shape-shifting asexual assassin, a carnivorous businessman and his “feed slaves,” and spider-waiters. It is a story about morality, but not personal morals as much as social morality: what makes a cultural practice evil? What makes it good? Who, ultimately, should feed on whom and why? It’s very noir-ish, a bit dark with a bunch of colonial themes, and it’s one of my favorites – I hope you’ll check it out as well as the rest of the anthology. A million free words of the up-and-coming scifi authors is hard to pass up, right? I’ve received back my content edits from my new editor over at Harper. She’s done a great job and I plan to have this book turned around and submitted for copy-edits by the end of next week. For now you can still pre-order the book wherever e-books are sold. The cover art should be appearing soon, I think (hope). In the meantime, if you haven’t read the first book (and yes, the first two volumes are one book), you’ve still got time to read The Oldest Trick and be ready to jump into a new Tyvian adventure come the end of June. If you’ve read or read any of my shorter work and think it was cool, I promise you’ll enjoy my longer stuff, too! Go check it out! The general consensus among writers (or, at least ones that I’ve heard talk about it) is that you shouldn’t read reviews of your work. This makes sense, arguably: good reviews can give you an inflated sense of self-worth, while bad reviews can damage your self-esteem for no good reason. I spend waaay too much time stalking myself on this site. But of course I read them. I don’t honestly understand how it’s possible not to. I mean, I didn’t write my books to exist in a vacuum – I want them to be read, dammit! I breathlessly await the audience’s reaction. And why not? My books are as much for them as they are for me. It’s like giving somebody a present but never checking to see if they appreciated it. Who does that? Don’t you want to know? If I told you that just over there inside that room there were a bunch of people leaving anonymous notes about your work performance, wouldn’t you go take a look? They’re talking about you! Don’t you want to know? If you answered “no” to that question, well, you’re a much stronger person than I. Or perhaps a sociopath. So, I’m going to read my reviews. I will do so until they get boring or repetitive or I have the lucky fate of having so damned many of them that I can’t keep up. How, though, to retain my sanity in the face of constant critique? The trick, I think, is to read your reviews with one thought firmly held in your head: This is just their opinion. If they love the book, then great! But that doesn’t mean everybody will. If they hate the book, booo! But that doesn’t mean everybody will. 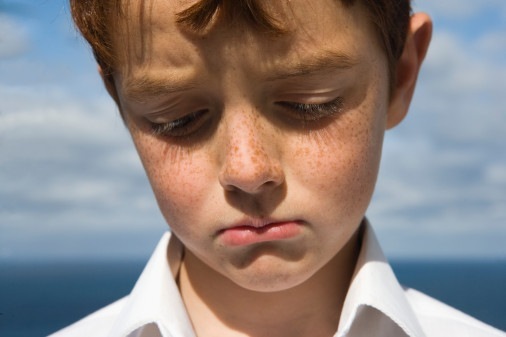 If they call me names, I am rubber and they are glue (etc., etc.). There will be unfair reviews (both good and bad) there will be fair, well-thought out reviews (both good and bad) and I must be okay with this. Now, I have had the lucky fortune of getting mostly good reviews for my stuff, so hooray for me! I am, of course, deeply appreciative to anyone who wrote a review (good or bad), because that helps other people find my books and confirms to me that, yes, people out there are reading and thinking about what I wrote. This all isn’t just some crazy dream. So, I say go ahead and read your reviews! Just don’t listen to them. It’s one thing to read your own press, it’s quite another thing to believe it. AND ONE MORE THING: Never, ever ever ever respond to reviews. Ever. Not good ones, not bad ones, not middle ones–NEVER. Under any circumstances whatsoever. Why? How about all of these reasons. So, more and more folks are bugging me about when the sequel to The Oldest Trick comes out. As my last editor just left Harper and I have a new one, the release date has been pushed back to June 21st where, hopefully, it will stay. I am still waiting for edit notes from my new editor and, once I get them, I’ll be turning them around fairly quickly (I hope). So, just a few months left to wait, I swear! For now, you can pre-order the book on Amazon and, when it releases, an e-copy will find its way to your device promptly. Until then, I promise to be doing my best to get you the best damned Tyvian story there is. Thanks for all your support! Over the past three or four weeks, I’ve written four short stories. Ordinarily I would spend my semester break writing a novel, but I was waiting on the edit note from my editor (fun story there – see the note appended to the bottom of this post) and, rather than get deep into a long-term project only to be torn out of it by a more pressing long-term project, I opted to fill out my stable of short stories to have on submission at any one time. I know a bunch of writers who don’t bother with short stories – either don’t write them at all or don’t really take them seriously if they do. I also know a fair number of writers who seem to write exclusively short stories and quail at the prospect of tackling something as big as a novel. I’m here, today, to make the case for writing both. Well, in the first place, yes people do read short stories. Not a tremendous, vast multitude, maybe, but certainly a hell of a lot more people than, say, read your blog. Some of those people happen to be editors, reviewers, and professionals in the genre you’re writing in. Making an impression doesn’t hurt. In the second place, I have to break something to you that you’re probably not going to like hearing: you probably aren’t going to make a living writing much of anything, novel or story. Most writers don’t. We all have day jobs, and you should think about keeping yours (or finding one that affords you time to write) rather than dreaming about making a mint writing the next Hunger Games. Who are you to turn your nose up at a hundred bucks for a story you wrote over the course of two weeks? And anyway, neither exposure nor wealth are reasons you should write short stories. You should write short stories because they make you a better writer. At worst, they can be seen as practice runs for plot, character, theme, diction, style, and the lot of it. You get to work your writer muscles at a more rapid pace than you do writing a novel. You take a beginning, a middle, and an end and you paste them together and see if it sings to you. If it doesn’t, you break it down and try again. You can do this over the space of a few weeks or days or even hours. The short story is an unforgiving form – it doesn’t permit indulgence or dithering or random tangents. You’ve got to stay on target, keep it focused, and make it magical. That’s a challenge. The thing is, though, if you can do it in 5000 words, you can certainly do it in 10,000 or 100,000. If you can’t do it in 5000, how are we to expect better from you with more space? I mean sure, you can do it, but while novelists you can’t write stories do exist, somebody who can do both things is usually better off. Or at least I think so. You can do it, too. You know you have it in you. I feel we mostly think in terms of novels – the stories of our lives, the stories of our families and our towns and our nations are novel sized stories. They always have been, though we haven’t always told them as novels (there were epics and romances and myth cycles, and so on). I think every writer owes it to him- or herself to make the attempt. To seek out the mountaintop. You’ve been honing these skills – take them out of the yard and see what they can do. But don’t abandon the story, either. Do both. Write both short and long. I’ve gotten some fan mail recently (fan mail! w00t!) that has been prodding me over book 2 (or 3, or whatever) in Tyvian’s story. So, here’s the deal: book 2 (No Good Deed) is finished and on my editors desk. It has been since May of 2015. I’ve been waiting for her edit notes so that the book can be polished and revised and then be ready for print. I have been waiting since May and the release date as been pushed back twice now (from Jan 21st to February to now April 12th). My editor is leaving my publisher for a different publishing job (and good for her – she’s great and I hope she’s happy where she’s going). This means, though, that I have a new editor. This new editor needs some time to get familiar with the book before she can give me notes and she also has been slammed with a good number of other writers from my former editor, so things might take a while. This means the release date might be moved back again (though I really hope not). None of this is really my fault (so far as I’m aware), and I’m every bit as anxious to put the next book in your hands as you are to have it there. I promise. Oh, and I just saw the preliminary cover art, and it looks really, really cool. Can’t share it just yet, but soon. Very soon. Thanks everybody, and I’ll keep you posted! Before I start, just a publicity update: Go to Barren Island Books to read an interview with me just before I am banished to a desert island. Fun times, and many thanks to A.F.E. Smith for the opportunity! Now, let’s to brass tacks. You know what I find the hardest thing, ultimately, to do for a novel or story? Give it a title. Yep – somebody else had used it. Sometimes numerous somebodies else. Super lame. 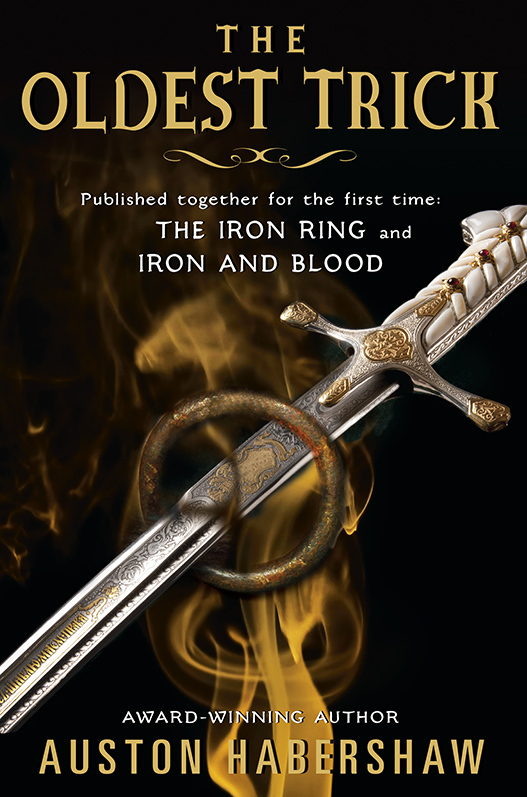 You know that book I’ve been telling you all to buy – The Iron Ring, remember? Well, even though it wasn’t my first choice for title, it was the one my editor liked best and, as it turns out, Lloyd Alexander liked it, too. Dammit! 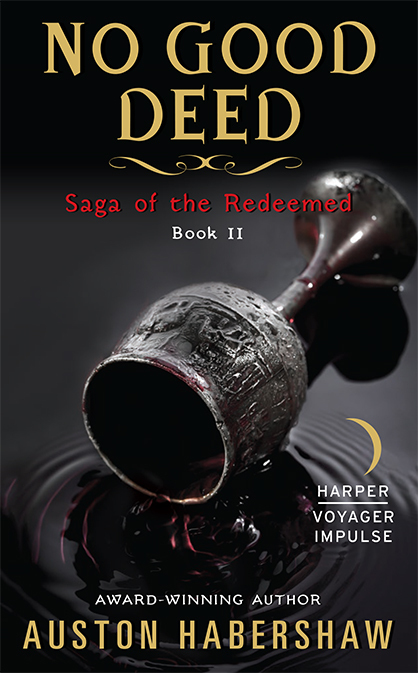 So, anyway, after much hand-wringing and nonsense about the titles of the various books of The Saga of the Redeemed (that one’s original – take that ye gods of Google! ), I came up with a system that I felt would create decent titles for my fantasy books. Namely, I’d take a common saying and chop it up. Books 1 and 2 (which are really the same story) were/are titled The Oldest Trick, for instance. As in “the oldest trick in the book.” Right? Get it? Huh, huh? Neat, right? Google that one and you come up with nothing – it’s all mine, baby! Fast Forward to Book 3 (or Part 2, depending on how you look at it). The working title has always been All That Glitters, as in “all that glitters is not gold.” Pithy, clever, thematically appropriate – I love it. Google it, and all you get is a short-run sitcom in 1977. Ha! A VC Andrews novel from 1995. Some kind of documentary/reality show set to air this year. And about a million other titles. Bye-bye that title. Turns out, though, that no matter what I pick, odds are I’m going to step on somebody’s toes. You have to ask, though, whether that’s such a big deal. Like, if the last time somebody used the title was in a different medium (movie, not book) for a different audience (crime thriller, not fantasy) a couple years ago, does it really matter? How much of a chance of confusion is there, really? In bouncing potential titles back and forth with my editor, the one she liked best was No Good Deed. Yes, yes – it’s the title of an Idris Elba thriller released last year, I know. It isn’t as though anybody’s going to be confused, though. It would be one thing, I guess, if the movie were a big hit (nobody’s walking around titling their novel The Empire Strikes Back or Platoon, I suppose), but even then one has to wonder. What’s in a title, anyway? It’s just one of the umpteen billion handy devices by which we convince people to pick up our books and read. Perhaps the “perfect originality” standard is a bit too stiff for so modest an element. Or maybe I’m just lazy. That’s also pretty likely. Nevertheless, I’m going to stick with No Good Deed for now. I’m calling dibs, everyone, got it? It’s mine! Well, for now, anyway, and unless I can think of something better.